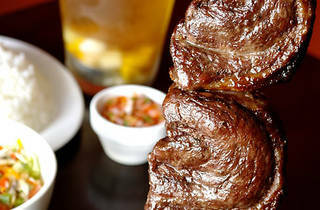 A churrascaria is a restaurant that serves different cuts of roasted meats. ‘Rodizio’ is the method of continuous service by which the cuts are presented to customers. 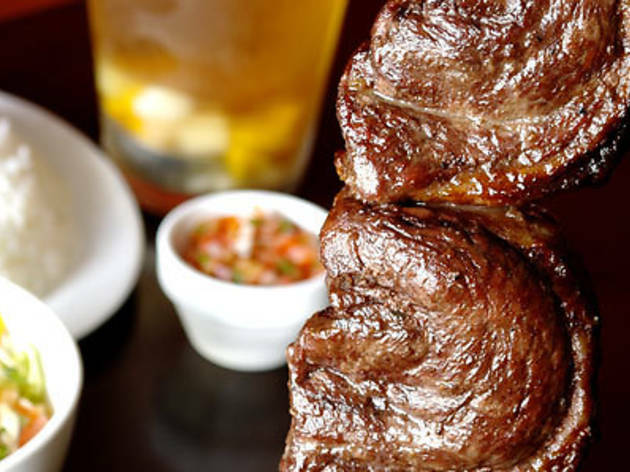 In traditional Brazilian churrascarias, the gauchos presented the meats still on the skewer. And they do it often. Churras the Brazilian Barbecue preserves this tradition. Twenty different types of skewers are served and cut on the table accompanied by side dishes and salads. Which you will need. You know, given all the meat!